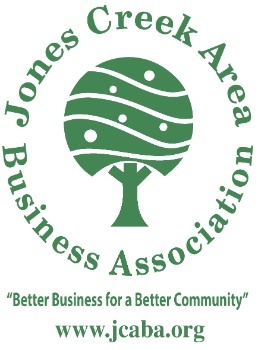 Since April of 1991, the Jones Creek Area Business Association (JCABA) has offered its members an opportunity to enjoy the fellowship and camaraderie of other professionals in the area to build a "Better Business for a Better Community" in Baton Rouge, LA. Perhaps best known for sponsoring the annual Jones Creek Christmas Parade, the organization strives to create a safe, neighborhood environment for their patrons and customers, who provide their livelihood. We look forward to again hosting a parade in 2017! The Christmas parade continues to be a HUGE success!! It has become one of the largest privately organized Christmas Parades in the greater Baton Rouge area. It provides a family atmosphere for local residents to celebrate the special season. With it's 'raining' of beads and other items, it almost felt like Mardi Gras. The result was a fun filled activity to all who attended and participated. Since 2007, at the Christmas Parade, JCABA has teamed up with First Pentecostal Church to coordinate a food collection for the Baton Rouge Food Bank, and with Woodlawn Baptist Church for many events that they have hosted at their campus. JCABA membership meetings are held the second Thursday of each month from 11:30 a.m. until 12:30 p.m. in the Family Life Conference Center behind Woodlawn Baptist Church, 5805 Jones Creek Road. The meetings are open to prospective members and include lunch, a guest speaker, and an update on the Association as well as the business community and Baton Rouge in general. There is a charge of $10.00 to offset the cost of the meal.